Iceland’s controversial whaling program fell under harsh attack this week when it was revealed that whalers had likely killed an endangered blue whale. Environmental groups have shared photos of the dead whale at a processing facility. Some experts are unsure whether the mammal is a blue whale or a blue whale-fin whale mix. Blue whales and fin whales are endangered species, and hunting them commercially is a flaunt of international law. Icelandic whalers have spent the past several weeks hunting fin whales, under national permits, for the first time in three years. The whalers are not authorized to kill blue whales. The meat of fin whales is sold to Japan, which also has a controversial whaling program. Sea Shepherd claims that the blue whale kill is in addition to the slaughter by Icelandic whalers of 21 fin whales by the company Hvalur hf. “No other nation – not even Japan or Norway – slaughters fin whales, and there has not been a blue whale harpooned by anyone for the last 50 years until this one was harpooned by the [vessel] Hvalur 8,” Sea Shepherd stated. The nonprofit Hard to Port, headed By Feuerhahn, has been following the whaling effort on its Facebook page, and has shared links to a handful of reports by Iceland-based news sites. Blue whales are the largest creatures on the planet; they can measure 100 feet and weigh nearly 200 tons. Fin whales are the second largest whale species. Both species were hunted to the brink of extinction during the whaling era. The International Whaling Commission adopted a moratorium on commercial whaling in 1982, but a handful of countries oppose the ban and still conduct limited whaling operations. The American paddlefish flourished throughout the Mississippi River basin for more than 300 million years, before being nearly wiped out as civilization spread throughout their range. But this week the U.S. Fish & Wildlife Service tweeted that “an ancient fish species is making a comeback,” and linked to its story about an ambitious effort to aid the recovery of paddlefish. The USFWS reports that 50 hatchery-raised paddlefish were recently released into Caddo Lake on the Texas-Louisiana border, and on the Big Cypress Bayou River, on which the lake is formed. Each fish is 18 months old and measures 2 to 3 feet, and each is fitted with a small transmitter that will allow scientists to monitor their movements. If all goes well, the plankton-eating fish, which use their blade-like snouts as steering aids, will reach their full length of about 7 feet, and weights to about 200 pounds. It’s an worthwhile project considering that American paddlefish, which have disappeared in many areas because of habitat destruction and the construction of dams, is the oldest surviving animal species in North America, even older than dinosaurs. Its scientific name is Polyodon spatula. Its Greek and Latin words translate to “many teeth” and “spatula,” even though the American paddlefish has no teeth and swims with its mouth open to catch plankton. Though it can reach seven feet, nearly one-third of its length is the blade-like bill. Paddlefish were once far more widespread, but have completely disappeared in many areas. They’re a vulnerable species and considered threatened in Texas, where they are rarely found, and protected against fishing efforts. The Paddlefish Experiment and Education Project is part of a larger project to enhance flows throughout vast Caddo Lake watershed. The 50 paddlefish were released in March and their progress is being monitored by USFWS biologists, but also by Texas schoolchildren, who have adopted individual fish and have given them names. Twenty schools are involved and among the paddlefish names are Andre, Bobcat Swag, Calypso, Don the Fish, Griselda, Pebbles, and Polly Sprinkles. The students follow the movements of their respective paddlefish via a website tracking map. The enhanced flow regimes, thanks to an effort that involved multiple agencies and stakeholders, will be important if the paddlefish are going to survive, and their health will help determine the overall health of the watershed. It’s an admirable effort, to be sure, considering the astonishing amount of time these fish roamed U.S. waterways. A developing El Niño in the equatorial Pacific has generated predictions of drastic weather changes–some devastating, some beneficial–throughout the world. There’s a 90% probability that an El Niño will form, up considerably from previous predictions, but the main question no is whether this will be moderate El Niño or, more likely, a powerful warm-water event such as those in the early 1980s and late 90s. The extent of El Niño’s strength won’t be known until late summer or fall. But based on early interesting signals, in the form of mammals, birds and fish showing up where they don’t typically belong, it’s looking as though this El Niño is going to be significant. Earlier this week two Bryde’s whales, a mother and calf, were photographed during two voyages on the same day off Huntington Beach, California, by researcher Alisa Schulman-Janiger. Bryde’s whales, which measure to about 45 feet, are fairly common in Mexico’s Sea of Cortez. Sightings off California, however, are extremely rare. 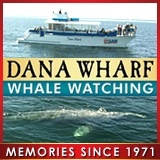 Schulman-Janiger said that during NOAA surveys off California between 1991 and 2005, there was only one confirmed sighting of Bryde’s whales, which are also referred to as “tropical whales” because they prefer a warm environment. Less than a week earlier, a large pod of pilot whales showed off Dana Point on the Orange County coast. Pilot whales are found around the world, including off Mexico, but it had been nearly 20 years since they were last spotted off Southern California. In late March, false killer whales, another ultra-rare visitor from warmer waters, thrilled whale watchers off Orange County. Strange visitors often portend strange happenings in their environment. Fishermen are seeing signs, also. Anglers out of San Diego, on short excursions into Mexican waters, began catching yellowfin tuna in May. That’s unprecedented, according to some, as this sub-tropical species typically doesn’t show that far north until late summer, if at all. During the El Niño in 1983-84 and 1997-98, however, yellowfin tuna migrated north early and, during the summer, were caught well into U.S. waters. “We’ve already started to see very unusual fish catches here,” Tim Barnett, marine research emeritus with the San Diego-based Scripps Institution of Oceanography, told KPBS. “The first yellowfin tuna was caught in May—that has never happened before to anybody’s recollection. Barnett said the 1997-98 El Niño, the biggest in a century, caused a northward shift of the entire fishery population, and he predicts a similar event is developing. Water temperatures are unseasonably warm in some areas off Southern California, but only by a couple of degrees. Temperatures are significantly warmer than usual, however, off parts of western Mexico, including the Sea of Cortez. This not only drives fish populations and some mammals beyond their typical range, but it causes shifts in bait fish populations. This appears to have seriously affected California brown pelicans, about 90% of which breed and rear young in the Sea of Cortez. Sam Anderson, a UC Davis biologist and part of a survey team that visited traditional nesting sites, told ABC News that where they would typically encounter tens of thousands of breeding pairs of pelicans, there were only sparse numbers. Some nesting sites were alarmingly deserted. “That’s what we call a failure, a bust. The bottom dropped out,” Anderson said. Mark Rayor, who runs Jen-Wren Sportfishing in the Sea of Cortez, in Baja California’s East Cape region, said sardines and other types of bait fish are nowhere to be found. Rayor has logged water temperatures as high as 86 degrees, which is more typical of late July or August. He said blue marlin and sailfish, which generally begin to arrive in early August, are already showing in the offshore blue water. Anderson, however, was reluctant to place all of the blame for the pelicans’ plight on the developing El Niño. Whether El Niño is to blame or not, however, a powerful El Niño appears imminent, and the marine environment, on this side of the equator anyway, is already somewhat off-kilter. These are just some of the early messengers of change; they probably won’t be the last. Just when it seemed as though the California brown pelican population was flourishing, having rebounded from near-extinction over the past century, the iconic birds have suffered another significant setback. The University of California at Davis has released findings of a survey that reveal a sharp decline in the number of breeding pairs in Mexico’s Sea of Cortez, also known as the Gulf of California. About 90% of California brown pelicans breed and raise their chicks in the gulf. Biologists visit sites that typically hold tens of thousands of nesting birds. But this year many those sites were alarmingly deserted, in some cases totally deserted. “That’s what we call a failure, a bust. The bottom dropped out,” Dan Anderson, a UC Davis biologist who was part of a survey team that also involved a Mexican ecological group, told ABC News. California brown pelicans can often be seen soaring up and down the California coast, and their abundance during the past few years seemed to indicate a burgeoning population. But if a new year class is substantially diminished, as it seems to be, far fewer pelicans might be seen in the next few years. It’s possible that the crash could be linked to a developing El Niño in the equatorial mid-Pacific. Water temperatures are warmer than normal in the Sea of Cortez and bait populations have shifted, affecting the pelicans’ ability to find food. However, there could be more to this problem than a developing El Niño. "During most El Niño events we've seen, numbers of nesting attempts drop by at least half to two-thirds, and production goes down, too," Anderson said, in a UC Davis statement. "But it drops from thousands to hundreds, not to 10 or less." California brown pelicans, in recent decades, began a remarkable comeback after nearly being wiped out because of DDT pesticide poisoning. They were declared an endangered species in 1970, and removed from the list in 2009, when their population was estimated to number 150,000. The large birds, which feed by plunging into the water and catching fish with their large beaks, are found as far north as Washington. A fisherman might have saved the life of a critically endangered northern right whale on Sunday by diving overboard and using a knife to disentangle the mammal (see video). Capt. Pat Foster and mate Adrian Colaprete were aboard the vessel Wave Runner when they encountered the whale about 50 miles off Virginia Beach, Va.
Northern right whales feed largely by skimming with their mouths open, which could explain how it became entangled in this manner. Normally, in this type of situation, citizens should telephone NOAA Fisheries or a group trained in the rescue of large mammals. But Foster and Colaprete decided to act quickly after identifying the struggling mammal as a northern right whale, the rarest of large whales and among the rarest of all marine mammal species. The entangled whale was swimming slowly so Foster was able to pilot the boat ahead of the mammal, so Colaprete could jump in with his knife. He had planned, initially, merely to assess the situation. "I jumped in and started swimming towards it and I couldn't see it because I was pretty far in front of it, and then all of a sudden it came out of the gloom, and it was almost like a submarine coming at me," he said. He chose to cut the rope when the whale slowed even more as it swam alongside the diver. "As soon as the whale kind of passed me and I was parallel to its face and to its eye, it kind of stopped… It kind of gave me a little window to get down there." As viewers can see at about the 1:05 mark, the sliced rope slides free of the whale, which then reveals its tail fluke to signal a dive. It then disappears and Colaprete is overjoyed. "Got it!" he exclaims from the water, to Foster on the boat. "Hey I cut the line; it slid right through its tail. It's gone!" --Video is courtesy of TheWildLyfe (images are screen grabs). Ospreys are majestic birds of prey whose sharp eyes are almost always cast upon the water--because fish make up nearly 100% of their diet. Thus, they build nests close to the shores of oceans, lakes and estuaries--often atop objects such as telephone poles, platforms, channel markers and tree snags. In many cases, the nests are highly visible and Meg McDonald, of Wild Northwest Beauty, recently captured extraordinary footage showing an osprey pair constructing its nest. What's striking, besides the imagery, is the nest itself: It reveals what McDonald describes as "fishnet scraps," which represent a serious entanglement danger to the adult ospreys and their young. To be sure, the stunning footage captured at Washington's Sprague Lake carries a powerful anti-littering message. For good measure, though, McDonald added: "This is just one example of how human litter puts wild animals at risk. Discarded ocean fishnets kill hundreds of thousands of whales, dolphins, and porpoises each year—trapping them underwater and drowning them as they desperately thrash to escape. PLEASE DON'T LITTER!" Is California's lone wild wolf, OR7, homesick for Oregon? Could California's only known wild wolf be headed back to its home state of Oregon? The male gray wolf cataloged as OR7, who made headlines after ranging across much of Oregon and entering California on Dec. 28, 2011, is presently in southwest Modoc County, which borders Oregon and Nevada. That's the farthest north he has been since last May. OR7, which returned to Oregon briefly two months after first entering California, had spent the past several months in Plumas, Tehama and Lassen counties. His most southerly position was Butte County. The wolf's collar is fitted with a GPS unit that allows scientists to track its whereabouts. The California Department of Fish and Wildlife issues daily updates and Thursday's placed the wolf in Modoc County. During that May visit to Modoc County Richard Shinn, a DFW employee, captured the only known color image of OR7 (pictured top right). The wolf is 4 years old and presumably searching for a mate. Perhaps his instincts are luring him back to a state that boasts an estimated minimum wolf population of 53, including seven packs and at least five breeding pairs. OR7 hails from the Imnaha pack in northeast Oregon. His first entry into California was via Siskiyou County, just west of Modoc County. A filmmaker in central Australia has captured rare images of a fire devil, also called a fire tornado or fire whirl, and the photos have taken the Internet by storm. Chris Tangey, 52, who manages Alice Springs Film and Television, was scouting locations and was near an old cattle station in Uluru when he encountered the blaze, which spawned several fire devils. It was a windless, uneventful day but a blaze was burning nearby. Suddenly, a man screamed out. Tangey turned and saw a fire tornado measuring 100-plus feet and roaring like "a fighter jet." The sound carried even though Tangey was nearly 1,000 feet from the flaming twister. Soon, other twisters formed. "It was a dance of giants in front of me. I've never seen anything like it; it was awe inspiring," Tangey told 7 News Australia. "I saw a red tornado, a black one, a white one and several made of pure fire." The images were grabbed from HD video footage, which is still under production. Tangey, however, posted a 4-minute YouTube video (see it above) on Tuesday, because of the demand. NOAA on Monday issued an animated video that reveals just how drastically sea ice has diminished in the Arctic Ocean. It's at an all-time low and, for the first time since satellite observations began in 1979, the ice cover is less than 4 million square kilometers (1.54 miles). The footage is somewhat self-explanatory but the description beneath the video states: "The black area represents the daily (median) average sea ice extent over the 1979-2000 time period. Layered over the top of that are the daily satellite measurements from January 1 -- September 14, 2012. "A rapid melt begins in July, whereby the 2012 ice extents fall far below the historical average. The National Snow and Ice Data Center will confirm the final minimum ice extent data and area once the melt stabilizes, usually in mid-September." The diminishing sea ice beat the 2007 record on Aug. 26. A dangerous poacher is on the loose in the Northern California city of Susanville. The state Department of Fish and Game is requesting public help in finding a deer poacher who has killed four large bucks during the past three weeks. Three of the bucks were shot within city limits, making this a very dangerous situation. "These poachers have shown total disregard for public safety by shooting deadly weapons in residential areas and within the city limits," Nick Buckler, a DFG warden from Lassen County, said in a news release. "Almost as disturbing is the lack of respect for Lassen County’s wildlife, especially our famous trophy bucks." All of the bucks, the news release states, were shot within 50 yards of houses. They were shot with either bows or crossbows and left for dead. The most recent was Monday in the area of North Gilman Street in Susanville. Susanville residents with information that could help identify the poachers are asked to call the DFG's CalTip hotline at (888) 334-2258. Callers can remain anonymous and information leading to the arrest and conviction of the poacher or poachers is eligible for a reward up to $1,000, plus another $250 reward donated by the Susanville Chapter of the Mule Deer Foundation. For more information, see the DFG news release.